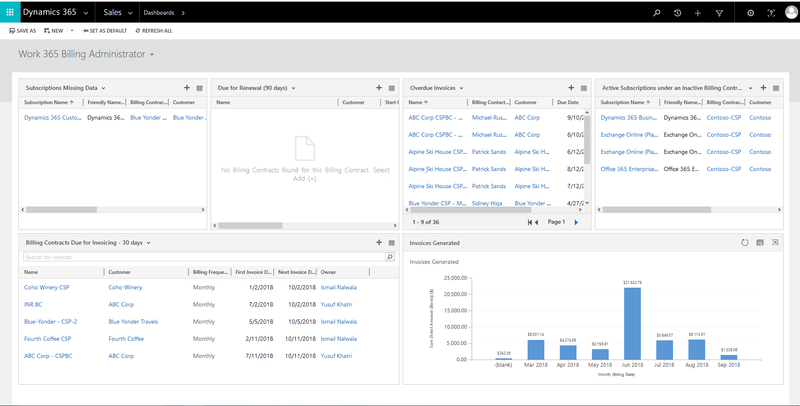 Work 365 includes Billing Automation and Subscription Management for Direct and Indirect Microsoft partners. Cloud and Subscription Billing is time-consuming, error prone and needs to be done in high volume with flexible terms. Microsoft announced that “To qualify as a Direct Partner, a CSP must have Infrastructure for Billing and Provisioning” to participate in the Direct Biller CSP Program. Work 365 is built on Microsoft Dynamics 365 platform. Work 365 for Microsoft CSPs can streamline sales, service and grow Monthly Recurring Revenue. As a cloud service provider, you sell cloud services and licenses such as office 365, Microsoft Azure, Exchange Online etc. Also, CSPs are also responsible for the delivery, support and invoicing of the cloud services towards your customers. Transform and scale your Monthly Recurring Revenue with Work 365. Are you Ready to Go?